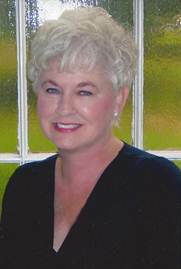 Sandra Murphy became Executive Director of the Evelyn Miller Young Pianist Series in 1990 due to the failing health of Miss Miller. During her time with the organization she took YPS to the next level with her warmth, exuberance, and business savvy. For example, for years YPS offered master classes for students that were open and free to the public. We enjoyed an expanding audience. In addition, YPS also gradually grew to be recognized nationally as a very desirable venue in which to perform as more and more young artists arrived in Knoxville each year to be met at the airport by our vivacious Sandy. We always knew the first thing they fell in love with here was her. In addition to the three regular concerts each year, Sandy and then President Becky Doyle had a vision to bring The 5 Browns to Knoxville for a gala event. With the help of the Board, and a year spent in preparation and fund raising The 5 Browns performed in May of 2006 before a sold out audience at The Historic Tennessee Theatre. The mission of the Brown siblings and YPS is to introduce young people to classical music in a format that creates enthusiasm and perhaps a life-long love of that genre. Sandy is missed so very much by our Board and everyone who knew her. We are all better people for having known her. The goal of YPS is to continue the level of excellence that began with our founder and first Director, Evelyn Miller, and continued with Sandy Murphy.